The haemoflagellates Trypanosoma brucei gambiense and Trypanosoma brucei rhodesiense are the causal agents of African sleeping sickness. 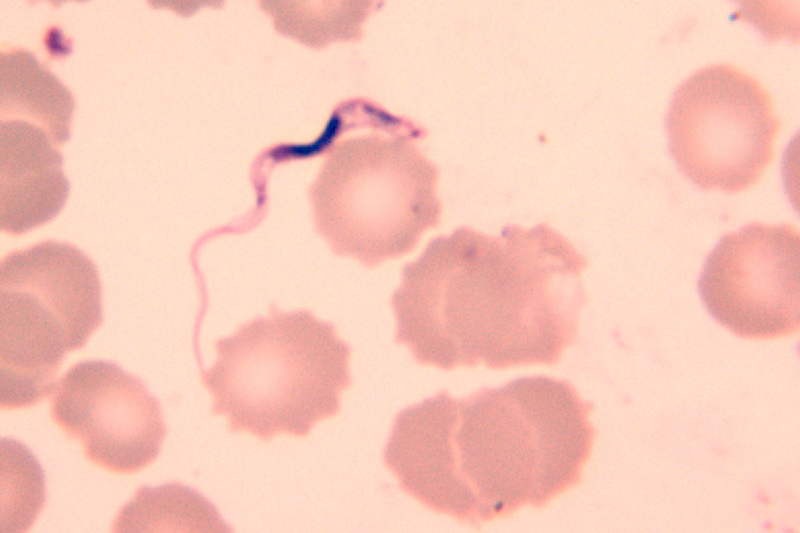 T. brucei causes the disease nagana in cattle. Infection is by the bite of an infectious tsetse fly (Glossina spp.). The tsetse fly is infected by ingesting blood containing trypanosomes from an infected human or animal. The parasite multiplies in the tsetse fly for 12–30 days. Finally, infective forms develop in the salivary glands. Once infected, the tsetse fly remains infected for life (3–10 months)!